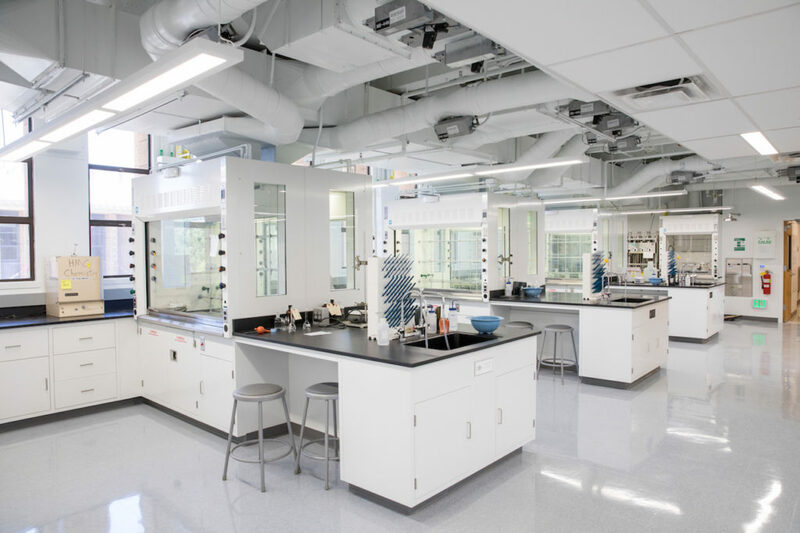 The Department of Chemistry occupies over 25,000 gross square feet in the contiguous Jacobs Hall of Science and Keck Laboratories. Over 11,000 square feet of space is devoted to instructional laboratories and associated instrumentation rooms and computational facilities. Each faculty member has his/her own well-equipped research space for collaborative research with undergraduates. These laboratories are in close proximity to faculty offices and available for research throughout the academic year and during the summer. The department maintains its own stockroom that is accessible to students during laboratory classes and while conducting research. Student gathering spaces for study and coursework are available throughout the department and are accessible 24/7.